According to Seattle-based business intelligence platform Headset, data collected in Colorado and Washington state showed the average retailer in those states reported 30% budtender turnover during a 12-month period. 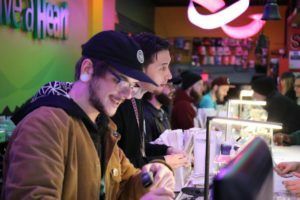 To retain budtenders, a cannabis retailer can offer competitive pay, health care, ongoing education and performance incentives. But the key, industry insiders told Marijuana Business Magazine, is to keep budtenders engaged and make them feel valued. Marijuana Business Magazine asked three executives from cannabis companies to share their businesses’ strategies for retaining budtenders. We also quizzed their budtenders on why those retention strategies matter. When you do lose budtenders, you’ll need to hire replacements and then onboard and train them. Click here to read some best practices.